If you find that your toilet is not flushing properly, don’t wait for a plumber. This DIY task requires little skill. Wait until the toilet tank is full to check whether the flushing mechanism is faulty. Open the lid of the tank and check whether there are visible obstructions interfering with the cistern’s filling process and remove whatever you find. It is likely that the chain is broken, in which case you will just need to reattach it. If your toilet has been serving you for more than five years, chances are that the problem will be beyond repair and you may need to replace it altogether. Here is a list of the best toilets. You could also find that you need to replace the whole cistern or the complete valve system. The sink faucet can sometimes frustrate you because of low water pressure. Before you embark on solving this problem, check whether the low pressure problem is affecting cold as well as hot water systems in your home. If that is the case, then the likely culprit is the aerator. Typically, calcium deposits will build up slowly around the faucet aerator and over time reduce the pressure of the water. Unblocking such an aerator is easy: carefully take out the aerator and remove all debris. Mount it on back and your low water pressure problem will be a thing of the past. A slow draining tub does not have to give you needless trouble. In a matter of minutes, you can solve this problem using readily available tools at home. 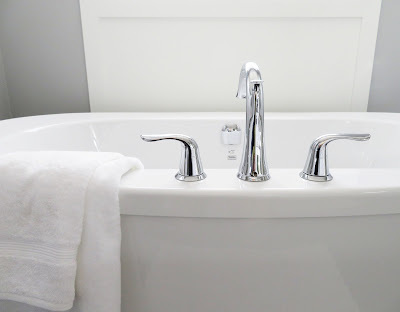 Often times, the reason for the slow draining of your tub is an accumulation of hair, which over time becomes substantial enough to slow down your water on its way down the drain. To solve this problem, you will need to use needle nose pliers or the Zip-it tool. These two are excellent tools for reaching into and clearing out all debris in your drain. If your drain has a tub stopper, remove it first to get better access to all the hairs clogging your drain. Unless you find yourself dealing with those big plumbing problems that only a plumbing professional can solve, you should fix the smaller issues around your home. In any case, there is no reason why you should not try to fix the problem before you consider calling a professional. Who knows, maybe you will learn a number of home maintenance skills that will come in handy in dealing with other plumbing problems in future.